A day on the course is even more perfect with the addition of a good cigar. Golf and cigars go together naturally. You may enjoy a smoke while relaxing on a clubhouse terrace, drinking an after-game brew, or even navigating the course itself. Smoking a good cigar in the open air environment of the golf course is a classic experience. Our golf cigar boxes are the perfect match. What Characteristics Should Fine Cigars for Golf Share? Natural, hand rolled tobacco products that deliver ease of lighting and a balanced burn are popular choices, while mild to medium strengths are often preferred when you need to concentrate on your swing. However, seasoned smokers may decide to go with a bolder option to savor between shots. Handcrafted cigars that offer rich flavor can be a refined choice for the corporate golf game or during the cocktail hour that follows 18 holes. Golf Courses & Pro Shops… Come Prepared! Some pro shops at golf courses may stock cigars, and some courses may have no cigars at all. To ensure optimal enjoyment, you will want to carry your own favorites to the course from Federal Cigar’s extensive selection. Celebrate a successful round, or an entire golf tournament, with one of your premium picks or take a budget-friendly tin to share with a foursome. If you know a cigar-smoker who is also an avid golfer, we invite you to look closer at the gift options available at Federal Cigar, an online shop with a distinguished reputation. We offer excellent choices for casual smoking on the course. We also have quality golf cigar gifts or entire golf cigar boxes for enthusiasts who appreciate a smoke that complements the nature of the game. Our cigar gifts for golfers put the ideal accent on an evening at the driving range too. 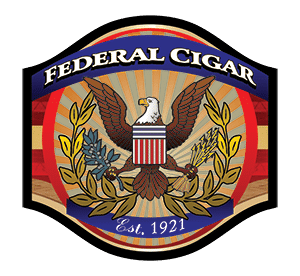 Federal Cigar is closing in on a century of offering cigars in a variety of price ranges and experience levels to satisfy everyone from the first-time smoker to the connoisseur. Contact us for personalized assistance in finding the best cigars online in your price point today. What better way to incorporate golf and cigars than at a charity golf tournament or event. We can provide special golf event cigar boxes, providing enjoyment to your golfers, increased exposure for your sponsors, and added revenue for your charity. What Makes a Good Cigar for a Golf Tournament? Quality, handmade product, that lasts more than 2 or 3 holes. We have thousands of these in stock. Your players will want it to be easy to light out there on a windy golf course, while driving in the cart or walking. A medium or mild stick that is easy to smoke, draws well, and is not overpowering makes for the best cigar on the golf course.